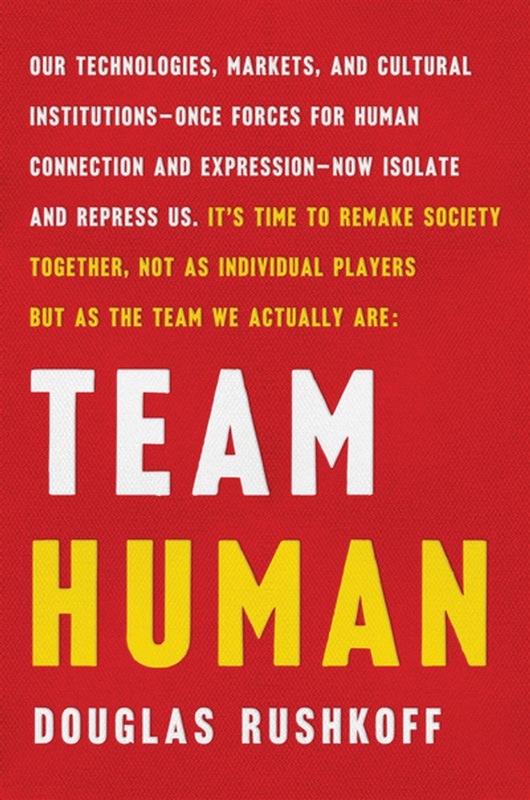 “A provocative, exciting, and important rallying cry to reassert our human spirit of community and teamwork.”—Walter Isaacson Team Human is a manifesto—a fiery distillation of preeminent digital theorist Douglas Rushkoff’s most urgent thoughts on civilization and human nature. In one hundred lean and incisive statements, he argues that we are essentially social creatures, and that we achieve our greatest aspirations when we work together—not as individuals. Yet today society is threatened by a vast antihuman infrastructure that undermines our ability to connect. Money, once a means of exchange, is now a means of exploitation; education, conceived as way to elevate the working class, has become another assembly line; and the internet has only further divided us into increasingly atomized and radicalized groups. Team Human delivers a call to arms. If we are to resist and survive these destructive forces, we must recognize that being human is a team sport. In Rushkoff’s own words: “Being social may be the whole point.” Harnessing wide-ranging research on human evolution, biology, and psychology, Rushkoff shows that when we work together we realize greater happiness, productivity, and peace. If we can find the others who understand this fundamental truth and reassert our humanity—together—we can make the world a better place to be human. Acquista Team Human in Epub: dopo aver letto l’ebook Team Human di Douglas Rushkoff ti invitiamo a lasciarci una Recensione qui sotto: sarà utile agli utenti che non abbiano ancora letto questo libro e che vogliano avere delle opinioni altrui. L’opinione su di un libro è molto soggettiva e per questo leggere eventuali recensioni negative non ci dovrà frenare dall’acquisto, anzi dovrà spingerci ad acquistare il libro in fretta per poter dire la nostra ed eventualmente smentire quanto commentato da altri, contribuendo ad arricchire più possibile i commenti e dare sempre più spunti di confronto al pubblico online.